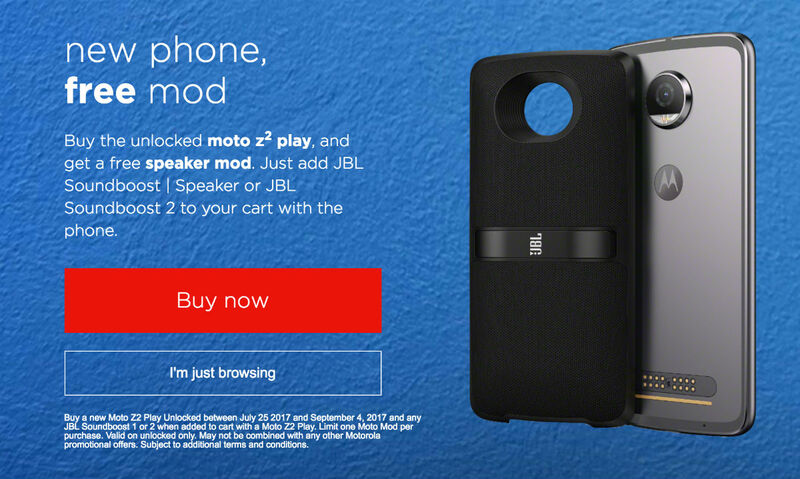 For the next week, you can grab a Moto Z2 Play (unlocked or Verizon-branded) through Motorola’s website, then get a JBL SoundBoost 2 Moto Mod for free. In total, the Z2 Play will cost you $499 for an unlocked model (64GB) or $409 for the Verizon unit (32GB). For a device that we think is pretty sweet, coupled with a free $80 Moto Mod tossed in, that’s not too shabby. To claim this, you’ll need to add both the Z2 Play and JBL Moto Mod to your cart, which will then automatically show you the savings. This isn’t a coupon or rebate-type deal. Both items should ship together, so you’ll be enjoying your boosted tunes on your new phone in a timely manner. Check out our review below if this phone interests you.